Welcome to waverly street! 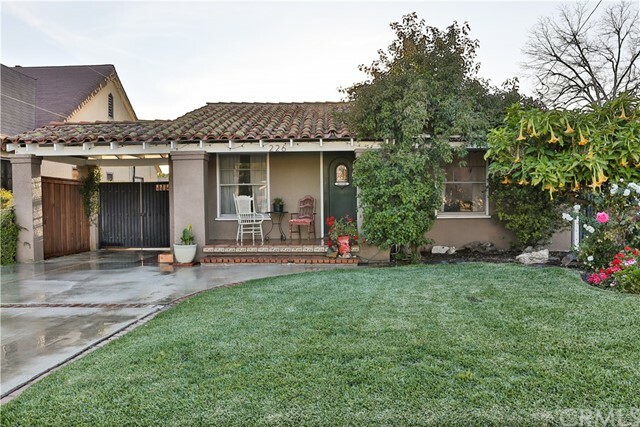 Upon entering this charming, historic home in old town orange, you will be greeted by a warm and inviting space. The family room leads you into the dining area which is conveniently located near the kitchen. Fully upgraded, the kitchen is equipped with custom cabinets, granite counter tops, and stainless steel appliances. Spacious indoor laundry room is located downstairs and in it's own designated space. As you walk through the halls, you will find 3 large bedrooms all with great size closets! Need more storage? The hall is lined with built in cabinets and drawers. Perfect for linens, board games, seasonal items and more! As you make your way upstairs, you are immediately taken into the fully permitted master suite addition. Master bathroom is tucked away in it's own space away from the bedroom. Beautiful upgrades, including 2 vanities and a gorgeous, designer shower. This master suite is not limited to just a bedroom. It can be used as a media room, teen room or a perfect guest suite that offers endless privacy. Included in this addition is a private office that can also be converted into a dream walk in closet! Situated on a large lot, this home has a huge backyard with room for a pool! Beautifully lined with mature fruit trees along it's perimeter, this yard is shady and brings in a cool breeze on those hot sunny days. 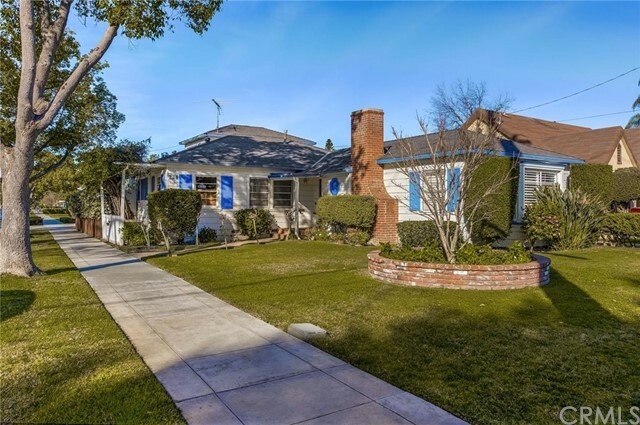 Walking distance to the orange circle this home truly is a gem. Welcome home!! 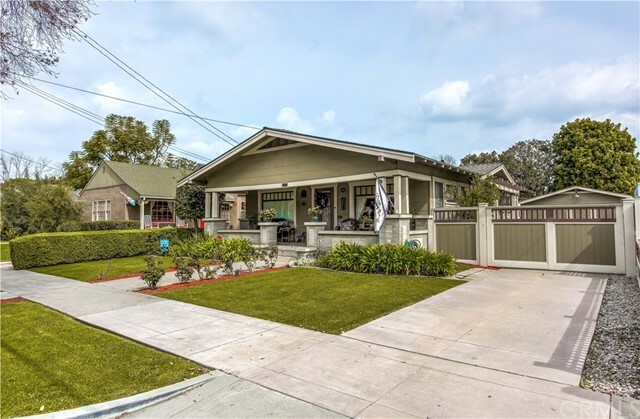 Newly renovated and updated single story home with brand new finishes throughout in historic district in old towne orange. 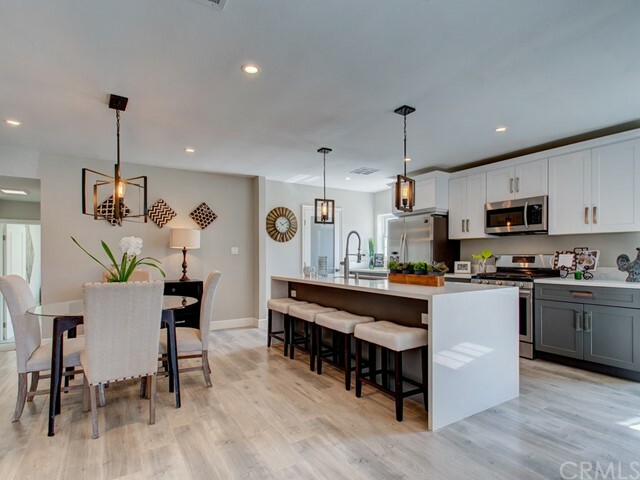 Open concept large living and dining room open to kitchen to fit today's lifestyle with wood laminate floors, white and gray shaker cabinets, and edison style light fixtures. Quartz counter tops with waterfall sides on huge island that seats 4 people. All new samsung stainless steel appliances including counter depth fridge are included. The master suite is away from the other bedrooms and boasts a beautiful bathroom, huge walk in closet, and a slider window with direct access to a paver lined courtyard graced by a beautiful mature orange tree. Enjoy some wine or s'mores in the evenings with the fire pit out on this courtyard. There is a separate pantry/laundry room and a detached 2 car garage. 2 separate backyard spaces are great for bbqs and entertaining. Quiet neighborhood offers walking to all the restaurants, shops, and services that historic old towne has to offer. Truly a treasure at a great price – don't miss out! Listing Agent: Donna Herman Listing Office: Keller Williams Coastal Prop. 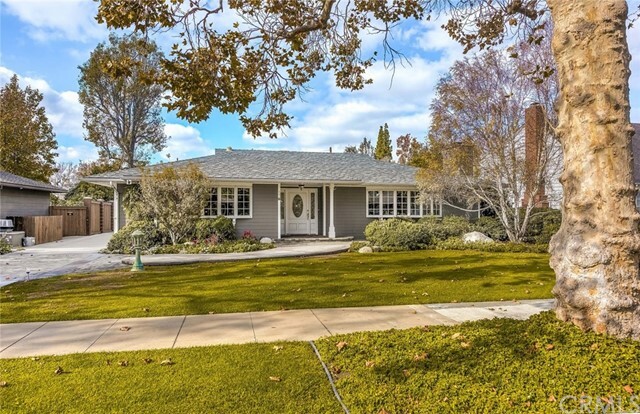 This is a beautiful ranch style home with pool and spa on a quiet cul-de-sac on the edge of old town orange. 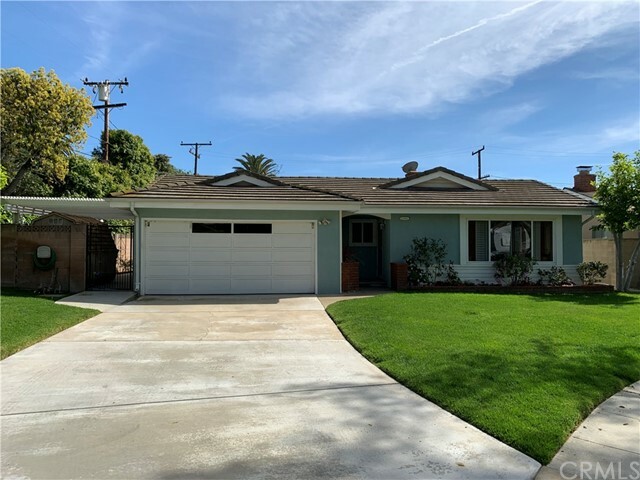 This turn-key home is in excellent condition all around and ready to move in with custom french doors leading out to the renovated backyard with gorgeous landscaping. A previously permitted addition expands the master bedroom with built-in cabinets and added a 3rd full bathroom in the master suite. Two of the three bedrooms now have their own bathrooms and are very large for this neighborhood. The kitchen was also remodeled and opened up into the family room. Barn doors have been added throughout the home to make it that homey feeling. The interior has been completed with venician plaster all in lovely earth tones that suits every persons needs and desires. The backyard is perfect for those looking to entertain with a pool, spa, fire pit and barbecue island. This home is one of the nicest on the block! You'll be thankful purchased this home for years to come. Welcome to upgraded 1952! 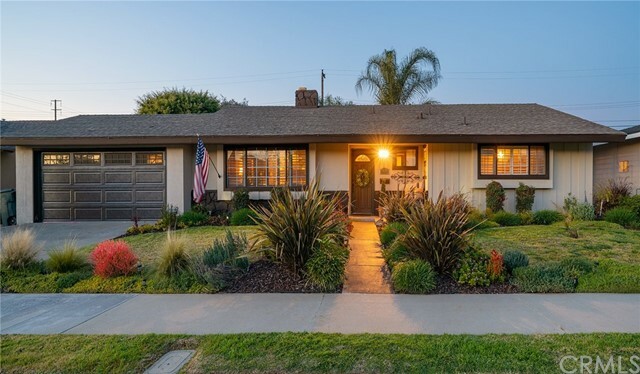 Located on a tree-lined street in old towne, this immaculate mid-century bungalow adorned with period lighting fixtures, appliances and retro interior design elements awaits its new owner. This 3-bedroom beauty has 2 restored and upgraded baths, 1,558 sq. Ft. Of living space, and a large 7,600+ sq. Ft. Landscaped lot with multiple fruit trees and patio in the back. Entering the home through the distinctive dutch door, a cozy living room with wood and gas burning fireplace awaits. This room has hardwood floors and massive windows that provide abundant natural light and views of the beautifully landscaped large rear yard. The kitchen is well designed and allows direct assess to both the living room and formal dining area. A large bonus room that could also serve as a 4th bedroom is separate from the other living area and provides a private retreat or additional entertaining area. The 2-car detached garage has space for additional storage and is connected to the house by a convenient breezeway. Dual-pane windows, central heat and air, and custom window treatments round out the amenities. 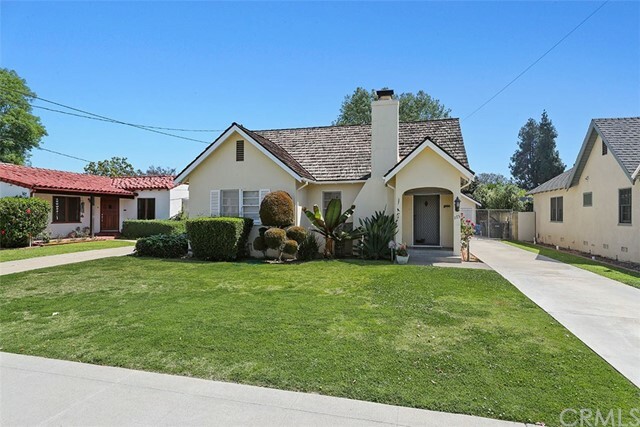 This property is centrally located within walking distance of the old towne plaza district with its many shopping and dining options and chapman university’s cultural and sporting events. This is a great place to call home!